How do I load file from resource directory? In the following code snippet we will learn how to load files from resource directory or folder. Resource files can be in a form of image, audio, text, etc. Text resource file for example can be use to store application configurations, such as database configuration. To load this resource file you can use a couple methods utilizing the java.lang.Class methods or the java.lang.ClassLoader methods. Both Class and ClassLoader provides getResource() and getResourceAsStream() methods to load resource file. The first method return a URL object while the second method return an InputStream. When using the Class method, if the resource name started with “/” that identifies it is an absolute name. Absolute name means that it will load from the specified directory name or package name. While if it is not started with “/” then it is identified as a relative name. This means that it will look in the same package as the class that tries to load the resource. The snippet will attempt to load the resource file from the same package as the App class. 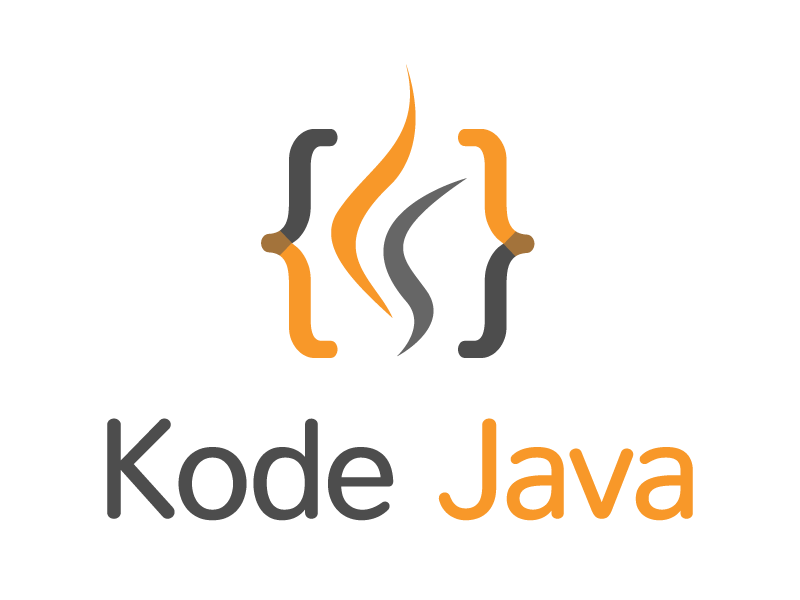 If the App class package is org.kodejava then the database.conf file must be located at /org/kodejava/. This is the relative resource name. The snippet will attempt to load the resource file from the given package name. You should place the configuration file under /org/kodejava/conf/ to enable the application to load it. This is the absolute resource name. Below is a snippet that use the Class method to load resources. // Load resource relatively to the LoadResourceFile package. // from the root of the package. This will load "/database.conf". When we use the ClassLoader method the resource name should not begins with a “/“. This method will not apply any absolute / relative transformation to the resource name like the Class method. Here a snippet of a method that use the ClassLoader method. // absolute/relative transformation to the resource name. Below is the main program that calls the methods above. In the snippet above we load two difference resources. One contains Oracle database configuration and the other is MySQL database configuration. How do I get the component type of an array? The Class.getComponentType() method call returns the Class representing the component type of an array. If this class does not represent an array class this method returns null reference instead. // Gets the type of an array component. How do I determine if a class object represents an array class? For checking if a class object is representing an array class we can use the isArray() method call of the Class object. This method returns true if the checked object represents an array class and false otherwise. How do I get direct superclass and interfaces of a class? Java reflection also dealing with inheritance concepts. You can get the direct interfaces and direct super class of a class by using method getInterfaces() and getSuperclass() of java.lang.Class object. getInterfaces() will returns an array of Class objects that represent the direct super interfaces of the target Class object. getSuperclass() will returns the Class object representing the direct super class of the target Class object or null if the target represents Object class, an interface, a primitive type, or void. How do I check if a class represent an interface type? You can use the isInterface() method call of the java.lang.Class to identify if a class objects represent an interface type. java.io.Serializable is an interface type. java.lang.Long is not an interface type. How do I check if a class represent a primitive type? Java uses class objects to represent all eight primitive types. A class object that represents a primitive type can be identified using the isPrimitive() method call. void is not a type in Java, but the isPrimitive() method returns true for void.class. int is a primitive type. java.lang.String is not a primitive type. double is a primitive type. void is a primitive type. How do I get information regarding class name? // Gets the Class of the date instance. // Gets the name of the class. // Gets the canonical name of the class. // Gets the simple name of the class. How do I create and implement abstract class? Abstract class is a class that have one or more methods declared, but not defined. Abstract class cannot have instances. This class uses in inheritance to take advantage of polymorphism. To declare that a class is abstract, use the abstract keyword in front of the class keyword in the class definition. Methods in abstract class that have no definition are called abstract methods. The declaration for an abstract method ends with a semicolon and you specify the method with the abstract keyword to identify it as such. The implementation is left to the sub classes. The Pig class extends the Animal class. Because the Animal class contains an abstract method makeASound() the Pig class must implements this method or else the Pig will also become an abstract class. How do I extend classes in Java? Inheritance is one of object oriented programming concepts. This concept allows classes to inherit commonly used state and behavior from other classes. Inheritance is the way to put commonly used states and behaviors into one class and reuse it. The class that inherits all the attributes from other class is called as sub class. While, the class that inherited is called as superclass. You can use the extends keyword in class definition to inherit from other classes. When you apply the final keyword to the class declaration you will make the class final, a final class cannot be extended by other class. For example below we have, a Truck class and a Sedan that derived from a Car class. // are is inherited from the Car class. Here the definition of the Car, the Truck and the Sedan classes. How do I create a class in Java? A class is a specification or blueprint from which individual objects are created. A class contains fields that represent the object’s states and methods that defines the operations that are possible on the objects of the class. The file name that contains the definition of a class is always the same as the public class name and the extension is .java to identify that the file contains a Java source code. A class has constructors, a special method that is used to create an instance or object of the class. When no constructor define a default constructor will be used. The constructor method have the same name with the class name without a return value. The constructors can have parameters that will be used to initialize object’s states. Here is a Person.java file that defines the Person class. Here is a ClassExample.java file that defines the ClassExample class that use the Person class.